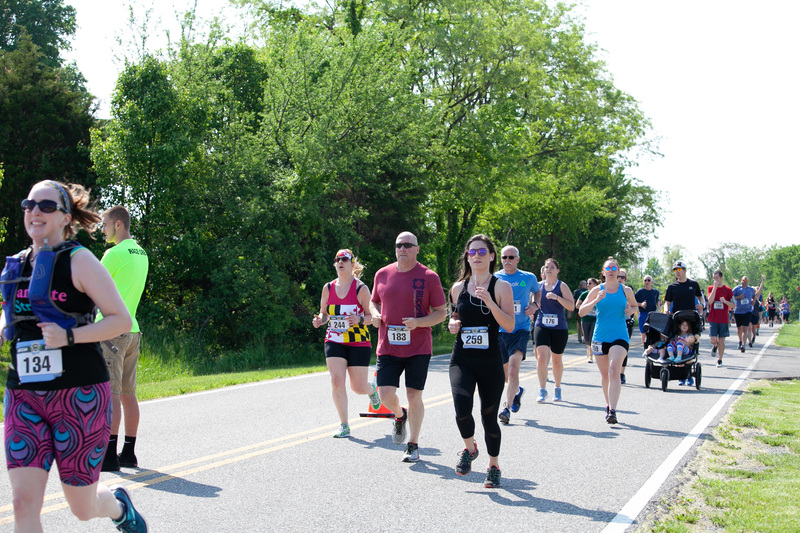 Welcome to the official site of the 1st Annual Luray Half Marathon, presented by Racine MultiSports. Kick off your long-distance running season with this early season half marathon. This will make a great weekend getaway! Description: This 13.1 mile run will start and end in downtown Luray, Virginia. The course, designed by local runners for runners, promises to deliver a landscape in favor of both the beginner and experienced runner. 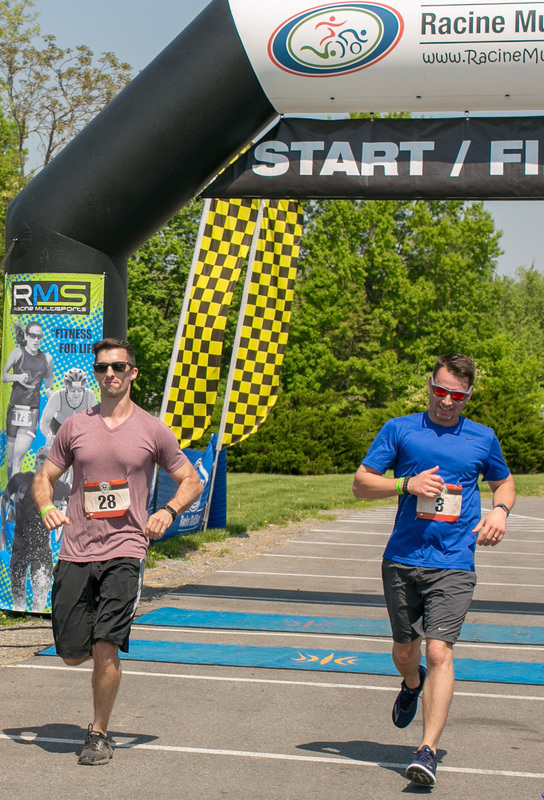 The course features a fully paved surface from start to finish (no grass, no gravel, no off road) with rolling hills and a fast final six miles to the finish. It will include individual and two options for the relay division- a four-person or two-person relay team. The four-person relay team will average a 5K distance, while the two-person relay team will average about 10K distance. There will be an after-party immediately following at Hawksbill Brewing Co., conveniently located at the race finish. 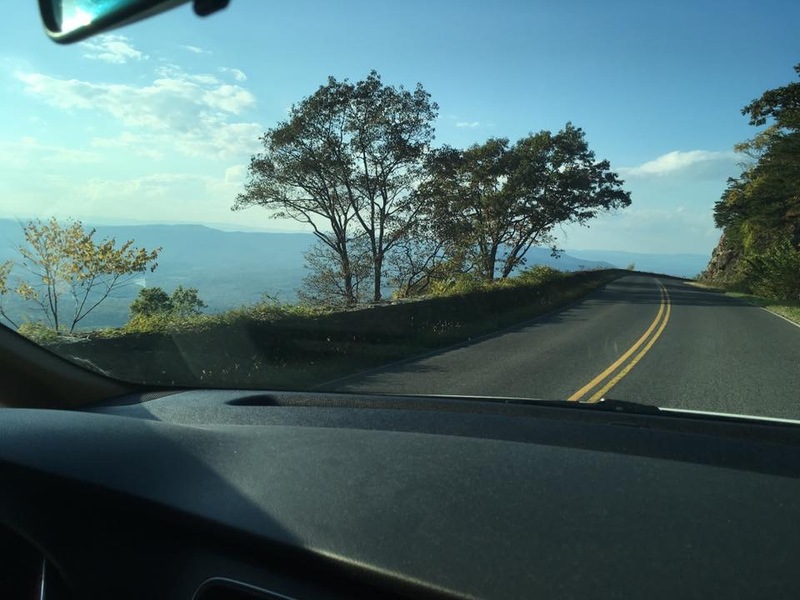 The Luray area will deliver a great weekend getaway with its small-town charm, incredible views of the Shenandoah mountains, fun dining experiences, a local brewery and wine shop, and great activities for the entire family to enjoy. What do you get for your entry? 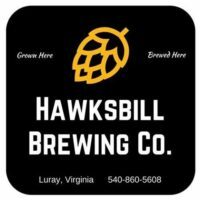 First beer or beverage free at Hawksbill Brewing Co. Description: The half marathon course was designed by local runners with the goal of making this course suitable for all runners. The course is considered moderate on a difficult scale with only 487 feet of elevation gain. There are no major climbs, and most of the elevation gain is within the first half of the course. This makes the back half of the course easier to help you glide home to the finish. 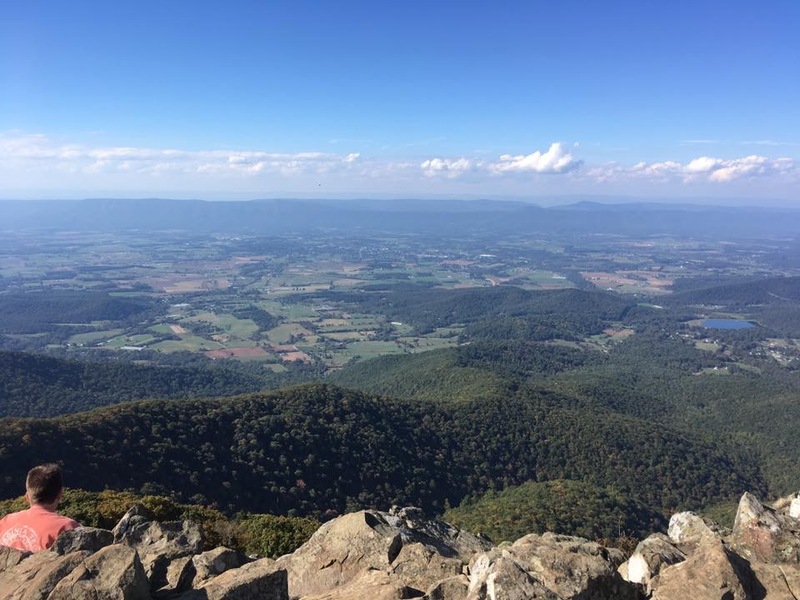 You will experience the following elements while on this course: The charm of downtown Luray; the nationally known Hawksbill Greenway trail; and incredible views of the Shenandoah mountains while you navigate the beautiful country roads of Page County Virginia. The entire surface is on paved roadway and Greenway trail blacktop. There is zero gravel or grass on this course. There will be eight water stops on course, four with restrooms and medical. Start: There will be a mass start combining all individual runners and relay teams. Timing: This event will be professionally chip timed by Racine Timing using disposable bib tags on the back of the race bibs. Bibs must be worn on the front of your shirt and be visible at all times. Results will be available LIVE with immediate updates at each of the exchange stations for individual runners and relay teams. 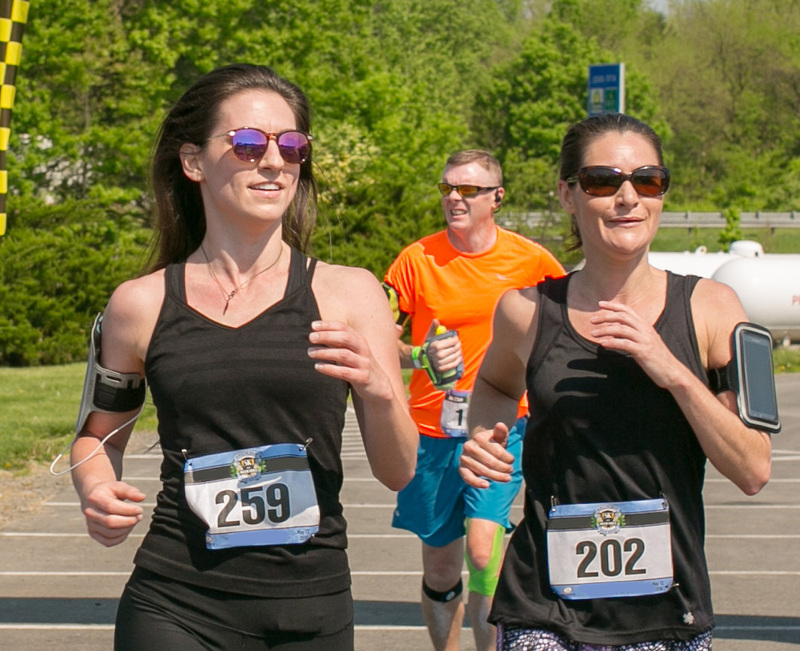 We will provide a web link to results prior to race day that can be shared with family and friends so they can follow runners on their web-supported devices. Results kiosks will be available at the finish. Timing Points: There are five timing points along the course. It will be each runner’s responsibility to cross all of these timing points. Failure to do so could disqualify you from the official results. Start- Your time will not start until you have crossed under the timing arch. This timing point will be cleared five minutes after the official start. This is to allow Main Street to reopen. Course Support: We will have lead and trailing sag support for the race. Additionally, we will be offering the following aid stations along the course. Water Stations include water, sport drink, and ice. Exchange Stations include: water station, timing point, portable toilets, medical staff and transport, relay exchange stations, bus transport for relay team members and staff only. Pricing includes cotton/poly blend race t-shirt, custom race bib, custom finisher medal, one free beer, food, and free race photos. Racine MultiSports does not offer refunds for this race, however race insurance is available for purchase during registration. Description: We are offering several ways for short-distance runners to be a part of this event by introducing the two-person and four-person relay team divisions. The two-person relay team will begin with the first member running 5.75 miles (241 feet of climbing) and the second member running the final 7.35 miles (246 feet of climbing). 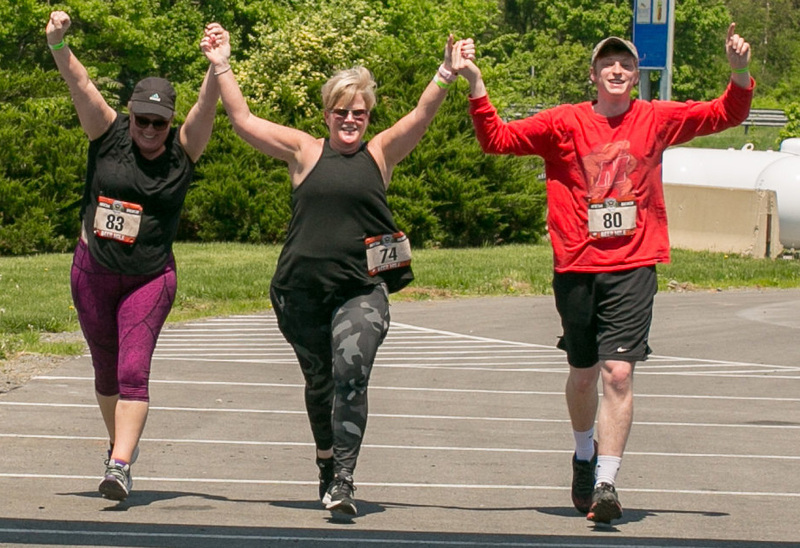 The four-person relay team will begin with the first member running 3.0 miles (95 feet of climbing), the second member running 2.75 miles (146 feet of climbing), the third member running 3.90 miles (181 feet of climbing) and the fourth member running the final 3.45 miles (65 feet of climbing). Team Types: Relay teams will be comprised of all male, all female, and co-ed teams for both the four-person and two-person teams. Co-ed teams for a four-person team must have no more than two male team members. Exchange Stations: There will be three exchange stations along the course where each team will “pass” their race bib to the next team member. The member approaching the exchange point will first cross over the timing mat and then into a coned area just off the side of the course to hand their timing bib to the next runner. After the hand-off is complete inside the coned station, the member starting the next leg will carefully re-enter the course. The four-person team will exchange at all three timing points while the two-person team will only exchange one time at the second exchange station located at mile 5.75. We strongly recommend that each relay team brings a timing belt (used in triathlons) to attach the bib and then worn around the runner’s waist. This will allow for quick exchanges. We will have a limited amount of belts for purchase at packet pickup for $10.00 for teams who do not arrange this ahead of time. Relay Team Bus Shuttles: We will provide three buses to take relay members to the exchange stations and then back to the after-party. WE ASK THAT YOU DO NOT ARRANGE FOR PERSONAL TRANSPORTATION to get you to and from these Exchange Stations as there is no parking to accommodate additional cars. The added auto traffic on the roads would create unsafe conditions for the runners. We advise that each member riding a bus to an exchange point considers taking personal gear for the previous runner so when the previous runner finish their leg their personal items will be waiting on the bus for them. WE WILL NOT BE RESPONSIBLE FOR LOST ITEMS, so please do this at your own risk. If you miss getting on your bus at the start you will force the previous runner of your team to run your section. Failure to do so will result in disqualification. Bottom line, DO NOT MISS YOUR BUS! –Exchange Station #1 Bus– This bus is only for the second runner of four-person teams. This bus will depart from Zerkel Street at 6:45 am sharp and will drive to Station #1 (mile 3). This bus will remain at Station #1 until the last runner clears mile 3 at approximately 7:50 am. Estimated bus departure time for this station is 8:00 am, returning to the after-party at approximately 8:10 am. Do not miss the bus back to Zerkel Street. –Exchange Station #2 Bus– This bus is for both third runner of the four-person teams AND the second runner of all two-person teams. This bus will depart from Zerkel Street at 7:00 am sharp and will drive to Station #2 (mile 5.75). This bus will remain at Station #2 until the last runner clears mile 5.75 at approximately 8:35 am. The estimated bus departure time for this station is 8:45 am, returning to the after-party at approximately 9:00 am. Do not miss the bus back to Zerkel Street. –Exchange Station #3 Bus– This bus is only for the four-person teams’ fourth runner. This bus will depart from Zerkel Street at 7:15 am sharp and will drive to Station #3 (mile 9.65). This bus will remain at Station #3 until the last runner clears mile 9.65 at approximately 9:40 am. The estimated bus departure time for this station is 10:00 am, returning to the after-party at approximately 10:10 am. Do not miss the bus back to Zerkel Street. The Awards Ceremony for both the individual and relay teams will commence once the final bus returns from the exchange station. Individual awards will include top three overall male and female, and the top three in each age group. Age groups are as follows: 15 and under, 16-19, 20-29, 30-39, 40-49, 50-59, 60-69, 70-79, 80+. We will award the top Relay Teams in both the two-person and four-person divisions (all male, all female, co-ed). If you are unable to stay for the awards ceremony, you can arrange for someone to collect your award for you or pay the shipping and handling fees to have it mailed to you. We will not automatically mail the awards- you will have to request in writing for us to mail your award. No runner will be permitted past an exchange point beyond these cutoff times. Runners who are pulled from the course will be taken back by the exchange bus or support vehicle. Please realize that with this offer we cannot ensure to capture you in each phase of the race. Additionally we will not be able to separate your photos by bib number. You will have to scroll through the race photos to find your photos. But we feel that is a way better deal than having to pay for race photos. For up to date lodging information and other lodging options, please contact the Luray-Page County Chamber of Commerce: 540-743-3915 or 540-743-4530. 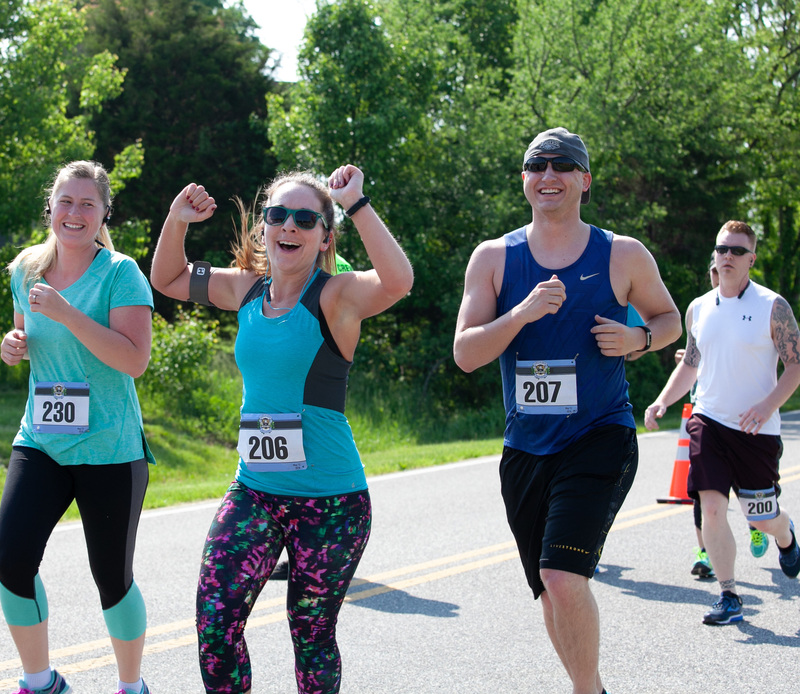 Don’t forget to mention that you are racing in the Luray Half Marathon! 4) In late August you will receive via email a map of the campground, a list of rules, and your campsite #. 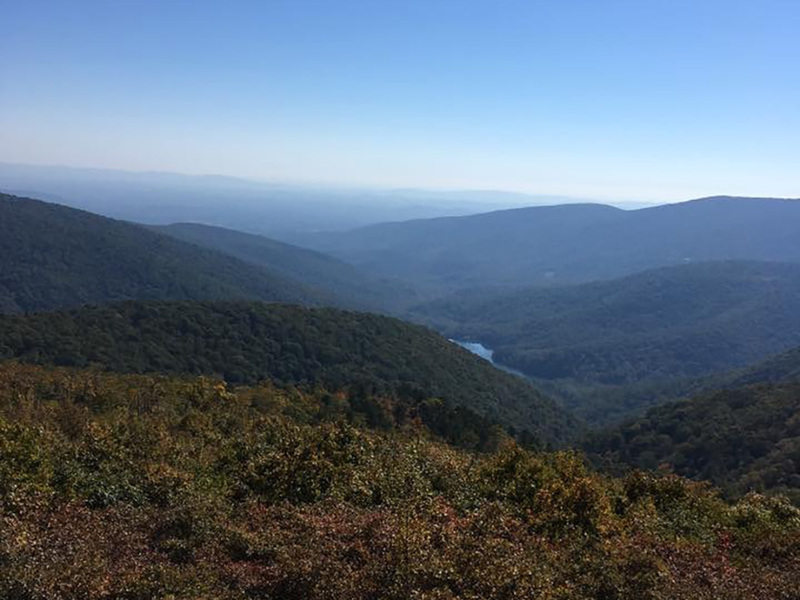 We are certain that you will find Luray and surrounding Page Valley communities to be some of the most welcoming and beautiful places that you will ever visit! 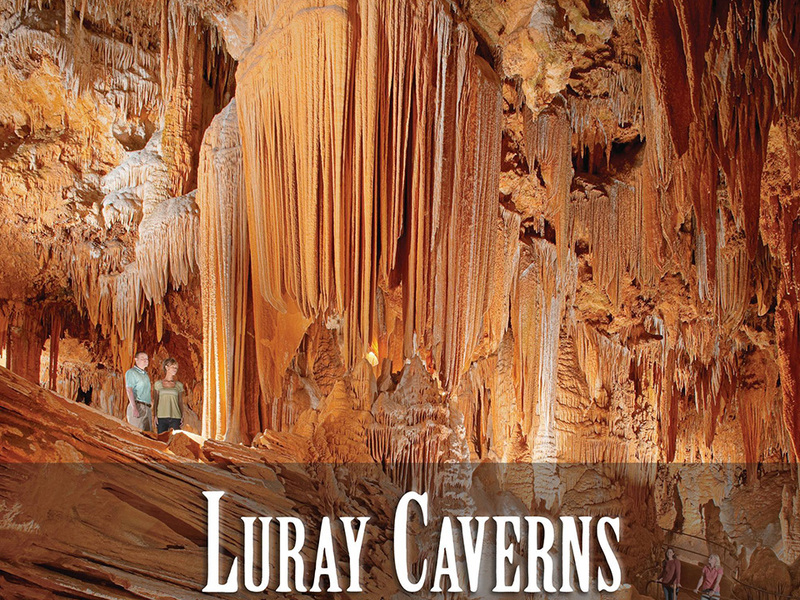 Luray is home to the world famous Luray Caverns and the central entry point of the Shenandoah National Park and scenic Skyline Drive in the Blue Ridge Mountains. Just a few miles in any direction offers you a chance to enjoy the abundance of our natural resources and a range of activities including, camping, canoeing, cycling, fishing, golf, hiking, horseback riding, photography or simply marveling at the scenery! Any season is a great time to visit; each is unique and beautiful. Be sure to visit downtown Luray and stop in at any of the number of excellent restaurants and boutique stores. More information about the area: Luray-Page County Chamber of Commerce.